You can think of CCIE written as the equivalent of taking your driving test theory part before you’re allowed to get behind the wheel with a DMV employee. Likewise, CCIE Written is a qualification exam and a prerequisite to CCIE Lab. 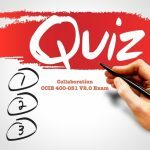 However, there are a few questions about the CCIE Written and Lab exams that just won’t go away, so here I decided to put them all together in one place. CCIE has multiple tracks (e.g. R&S or SP) and each track has its own CCIE written and lab exams. Please note that this CCIE FAQ is continuation from Part 1 and Part 2. 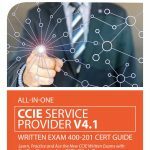 Are there any free resources available for preparing for Cisco CCIE Written and Lab exams? Absolutely. Besides our hand crafted CCIEin8Weeks prep resources, we strongly recommend to check out Cisco.com article written mostly by their TAC and TME staff. Those folks have churned out some of the best technical documents in the industry, period. How many times did you go to an RFC (or a draft) or to Juniper website to understand OSPF or BGP, I am pretty sure never – Cisco.com contains complete design guides for OSPF, EIGRP and BGP. How about Cisco books, are there any that you have personally used and would recommend? Yes. Please refer to our compilation of resources section. It contains all of our recommended books for all major CCIE tracks. I have to say, Jeff Doyle remains my personal favorite with his TCP/IP Volume I and II. How about Cisco.com, could you recommend me some direct links that I can use? I could definitely take some help on Evolving Technologies section? Absolutely. Please refer to the following link at a minimum and several of our blog posts on OpenStack. SDN/NFV and other relevant topics (scroll down until you find the topic you are looking for). I am a dual CCIE in R&S and SP? What do you recommend I do after these to continue my networking education? Well, you can go for Cisco Certified Design Expert (CCDE). As a CCIE, doing your day to day job, it is easy to get bog down into reactive stuff. CCDE focuses more on the big picture, the architecture, which would help you develop network design and scalable networks. In order to take CCDE, all you have to do is to pass CCIE written exam (352-001). Once you have passed the written test, you can go ahead and book your CCDE lab exam, there are no further pre-requisites. Can you share a little bit more details on CCDE written exam topics that I can expect to see on the exam? Yep. If there are two words to describe CCDE written exam, those would be “Control Plane”. About 57% of the exam consists of L2 and L3 control plane related topics. About one-third of the exam (i.e. 33%), is about network virtualization (Cisco speak for “tunneling”, sorry no NSX!) and network design related topics such as understanding network application and management requirements, CoPP, DPI, wireless (802.11), optical and even SAN fabric (what?!). Can you also comment on CCDE lab exam topics? CCDE lab exam (ala Practical exam) is also 8 hours long exam, closed book with no outside reference material allowed, i.e. much like CCIE lab. However, the format of the two exams couldn’t be more different. In CCDE lab exam, you are expected to develop a plan for a real network including understanding and clarifying requirements, coming up with a network design that meets those functional requirements and finally explain and defend your rationale around your design choice. Unlike CCIE lab exam which consists of CONFIG, DIAG and Troubleshooting sections, CCDE lab exam consists of four sections where each section contains about 25 to 35 questions per scenario. You are expected to complete those sections in the order given. You are NOT expected to configure networking devices on a CCDE lab exam. Feel free to leave your comments or questions. I will be answering them over the coming days and weeks.